Kardia is more a meditation on the romantic notion of someone actually dying from a broken heart, rather than a narrative-driven fiction. A scientist (Mimi Kuzyk) is preparing for a lecture on the subject when she succumbs to a heart attack while walking across an empty campus with her notes. At the moment of her death, her voice-over narration takes over as she reveals the unusual circumstances of her birth and the operation that saved her life as a baby. A man is seen walking along a snowy riverbank when he hears to cries of a child. The baby has been abandoned and without hesitation, the man (Peter Stebbings) takes her home. Inexplicitly, he doesn’t notify anyone, instead morphing into a caring father equipped with a feeding bottle. As this story is being revealed, there are flash forwards to the scientist  the man named her Hope  in what appears to be just days before her fateful heart attack. What follows is mostly flash forwards and flash backs between these two time frames. 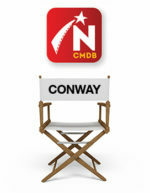 There are additional scenes with Hope and her father when she is about seven-years-old. It turns out that baby Hope has a rare heart condition, essentially a hole in her heart, and only with what then (the past is set in 1955) is considered radical surgery can save her, if the right blood donor can be found. The story makes the newspapers and a donor is found  her surrogate father. But who was this man, and why did he volunteer to save her life? That`s the question that plagues the adult Hope. As she prepares her lecture, she researches the history of open heart surgery and discovers the tragic truth about her surrogate father that leads her to believe that death can be caused by a broken heart, even though this flies in the face of observable science. In the flash forwards, Hope has squabbling lovers (Kristin Booth and Stephen Lobo) as her lab assistants, and their on-again-off again office romance forms the backdrop to what is essentially a solo performance by Muzyk, with plenty of staring into space and wistful voice-overs. This is where the script is at its weakest, and reveals the film’s low-budget limitations. However, the flashbacks with Stebbings, who delivers a fine, nuanced performance, and the baby Hope are shot in honey colours and achieve a certain magic. You really care about what happens to this kind man who is partially blind due to a war injury. Director Su Rynard is not looking to achieve realism with Kardia, although she has made documentaries in the past (Dream Machine). This film reflects more her experimental roots with video and performance. The actual open-heart surgery, inter-cut with the flash backs and forwards, forms a long central piece in the film, with the blood flowing between man and child. The script could have been tighter and the performances stronger, especially the anemic lovers, but the film is nothing if not ambitious, combining science and metaphor with a touch of magic realism. 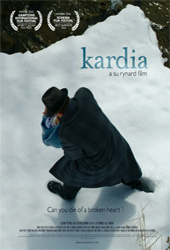 In October 2005, Kardia won the Alfred P. Sloan Foundation Film Prize in Science and Technology at the Hamptons International Film Festival, for a feature film that explores science and technology themes in fresh, innovative ways and depicts scientists in a realistic and compelling fashion. Previous winners include Kinsey and Enigma. Back to the Cast and Crew of Kardia.